Many of the products we manufacture at TMI require us to bond rubber to substrates. In fact, some of the very first products we ever manufactured here were parts that required rubber bonding to materials. Our experience working with a vast network of suppliers means that we can help you coordinate the various parts required to successfully get a part to your door with minimum legwork on your end. How is the product/part going to be used? Different elastomers respond differently when exposed to particular elements. Understanding the characteristics of your elastomer when exposed to elements like abrasion, Ozone, fuel, and solvents is vital to the success and reliability of your product. Our staff has the knowledge and experience to help you choose the best materials for your application. Which Bonding Process is need? Chemical Bonds are the strongest and most reliable rubber to metal bond. This bond is often even stronger than the rubber itself, meaning the rubber will fail far before the bond will fail. The Process of chemically bonding parts starts with blasting the metals in order to create a rough surface for the best bond. We can often create ways to protect the polish of the metal in areas that will not be bonded to rubber. We then apply the primer and bonding chemical to the part of the metal that will be bonded. The parts are then placed in the molds and the vulcanization process is initiated. During the vulcanization process the rubber will adhere to the bonding chemical but will not adhere to the areas of the metal that have not been coated with the bonding chemical. 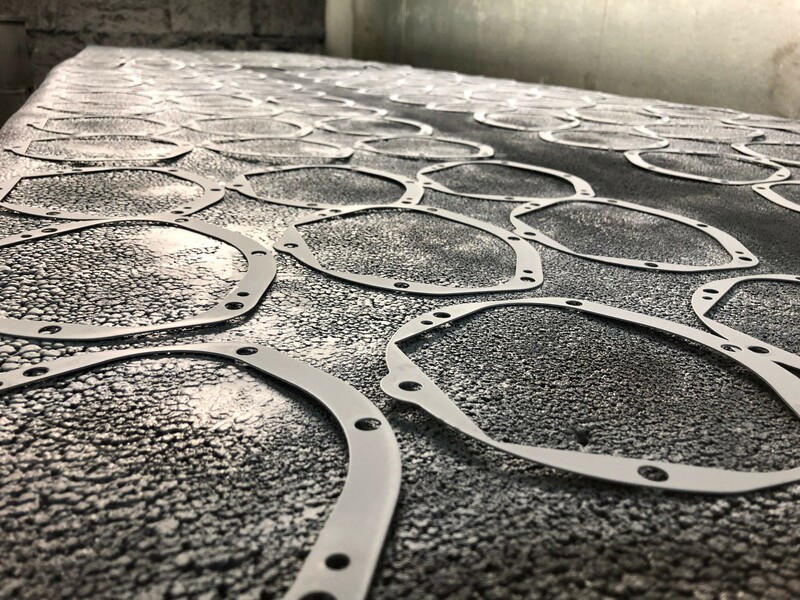 Encapsulation does not use any chemical to adhere the rubber to the substrate but instead the metal is encapsulated with the vulcanized rubber. This particular process is most commonly used in parts where rubber to metal strict adhesion is not necessary. The most common of these would be a vibration dampening mount with a threaded stud. Which Metal is best for my product? While we aren't metal experts, we do have experience working with my different metals and metal manufacturers. We can help you get connected with the right manufacturer for your metal needs.